Marsa Alam, in south-eastern Egypt, is situated near the Red Sea. This upcoming tourist hotspot has a small population of only 6000 inhabitants. Situated near the Tropic of Cancer, winter (October to March) temperatures range from18-35C and summers (April to September) range from 20-45C. Previously a small fishing village, Marsa Alam is fast developing into one of Egypt’s most popular sea side destinations. The local population is mainly of Bedouin origin. Take a camel trek or a jeep/quad bike safari around the region. On the way you can stop at a traditional Bedouin oasis, and experience the local flavour. You can also catch some desert wild life at the Wadi Gimal National Park. Along the desert road to Marsa Aslam, at Kanais, lies a small rock-cut temple built by Seti I (1305-1290 BC). A little further, you’ll come across prehistoric rock inscriptions of hunting scenes and trading expeditions. When here visit the tomb of 13th-century Sufi Sheikh Sayyed El-Shazli. A moulid is celebrated here on the fifteenth day of the Islamic month of Shawal every year. Marsa Alam has the most beautiful coral reefs and exotic marine life, which makes it a popular diving location. Some of the more known sites here include:Elphinstone (famous for its hammerheads), Samadai or Dolphin Reef, the famous St Johns Reef, Abu Dabab, Shaab Marsa Alam, Daedalus Reef, Shaab Sharm (Gota Sharm), Habili Gamal and many more. Take an excursion to Zabargad, a mountain rising out of the sea; it is surrounded by a lagoon and a circular reef with lots of ghostly shipwrecks. 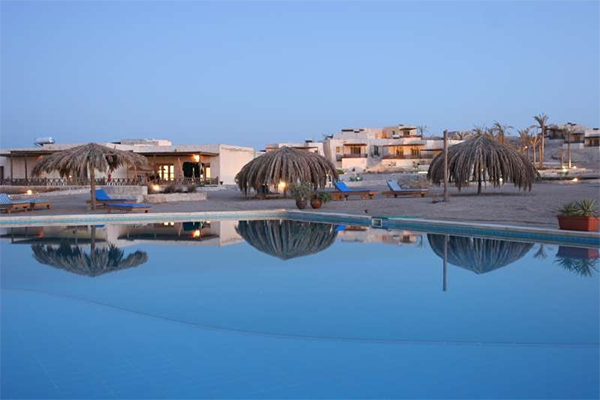 is a beautiful five-star family hotel in Madinat Coraya at Marsa Alam. This all elegant inclusive resort overlooks a peaceful and unspoiled private bay that allows easy access to the water and many excellent snorkeling and diving sites. Just five km from Marsa Alam International Airport, the city of Marsa Alam itself is 73 km away. The resort combines turquoise clear waters with colourful mountains as a backdrop and a relaxed, sympathetic, architectural style. Here you can enjoy an idyllic and utterly relaxing Egypt seaside holiday experience with superb dining, fitness activities, diving and sports or just enjoy the sun all day. The hotel has consistently been selected as one of the best 100 hotels world-wide in Holiday Check and has won several awards including TUI services Award 2005/2006/2007, Thomson Gold Medal in 2006/2007, TUI Eco Resort winner in 2007/2008/2009 and has achieved TUI Environment Champion status for the past three years in a row. Facilities Hotel facilities are excellent and include a first class restaurant and welcoming bars, three swimming pools of which two are heated as well as a childrens pool, a Health Club, 24-hour reception services and a limousine hire facilities. Wireless Internet access in the lobby allows you to stay in touch while impressive sports, fitness and leisure facilities are on hand in case you tire of the beach and the beauty of the Red Sea. For complete peace of mind, a resident doctor is also permanently on call. The animation team will entertain you day and night as well as supervise activities for younger guests in the Kids Club that includes a regular evening disco for the young ones and their own playground area. Set in quiet surroundings within the resort of Madinat Coraya, right on Ghorayfat Bay, the hotel is about 67 km from the town of El Quseir. · This beach hotel is built in elegant Moroccan style, complementing the richness of the surrounding area. It is proud to offer first-class service in a comfortable and relaxed setting. The hotel features a total of 364 rooms including 132 spacious family rooms and 7 suites. Facilities on offer include an entrance hall with a 24-hour reception and check-out service, a café, bar, pub, disco, games room and a restaurant. 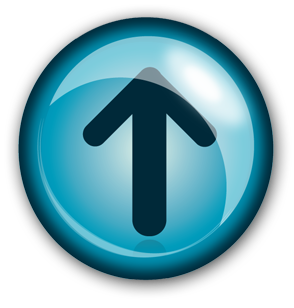 Internet access is available and there is ample parking for those arriving by car. There is also a spacious theatre-style conference room, pleasantly decorated with an oriental touch. There is a kids' club with child care and daily children's disco, as well as a playground. · Just like typical Nubian houses, the guest rooms are built in groups of bungalows, with a spectacular sea or garden view, elegant furniture and comfortable facilities to make guests feel right at home. Each room comes with an en suite bathroom featuring a bathtub/shower and a hairdryer as well as a direct dial telephone, a satellite/cable television, Internet access, a minibar, individually adjustable air conditioning, a safe and a terrace. · Various sports activities are available during the day. Performances of traditional dance and live music are provided for guests' entertainment in the evening. There is an indoor and outdoor pool, as well as a separate swimming pool for children. Refreshments are available from the poolside snack bar and sun loungers and parasols are laid out for use. Guests can also relax in the sauna or with a professional massage. Facilities are provided for tennis, table tennis, squash, aerobics, basketball, volleyball, beach volleyball, pool and darts. Guests looking to keep in shape during their stay can work out in the hotel gym. The exquisite coral reef landscapes beneath the serene waters of the Red Sea are just waiting to be discovered by snorkelers and divers alike. · The hotel's speciality food, famous for its fresh and healthy ingredients, gives guests a genuine taste of the Mediterranean. 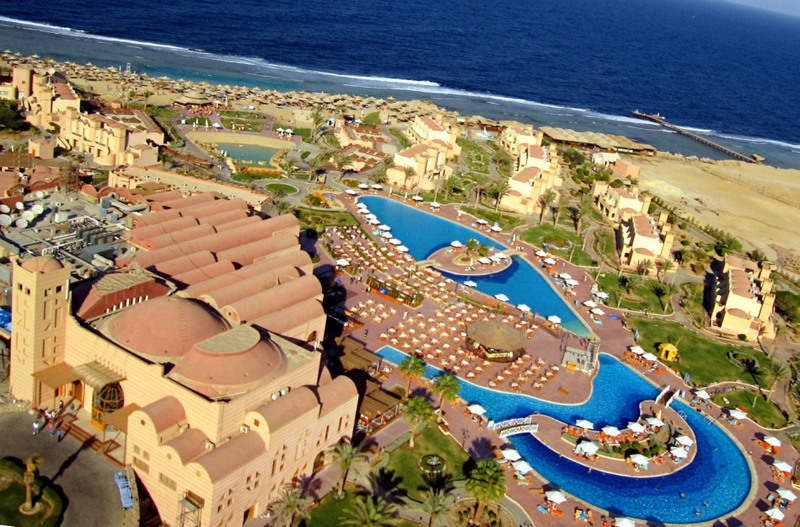 The “Akassia Swiss Resort Marsa Alam - El Qusier” Offers a Breathtaking Scenic View of the shore of the Red Sea. Built in a tranquil natural setting including all the requirements that you need for a relaxed and memorable vacation. The Resort is designed to be ideal for Clients looking for a relaxing vacation, benefiting from the year-round sunny weather of the Red Sea, and the beautiful landscape. 444 large deluxe rooms divided into standard, standard sea view and family rooms. Room facilities: Air conditioning, telephone, satellite television, non-smoking rooms, wheel chair accessible rooms, daily maid service, safe, balcony/terrace, mini bar, 24 hour room service. Location: 40km /30 minute drive north of Marsa Alam airport towards El Quseir. Hotel facilities: Two floors, restaurant, coffee shop, babysitting or child care, laundy/dry cleaning service, concierge services, currency exchange, business centre, secreterial service, beauty salon, sauna, gift shop, travel desk, game room, three swimming pools (outdoor), swimming pool (for children), tennis, night club and 500 metres of private beach. Discover unspoiled coral reefs and the beautiful beach at Abu Dabab Bay while staying at the Hilton Marsa Alam Nubian Resort. Relax at this all-inclusive resort destination, located on the west coast of Egypt’s Red Sea in Marsa Alam. Enjoy a desert oasis, featuring snorkeling, captivating views, swimming pools, Middle Eastern dining and cultural experiences. Marsa Alam International Airport is only 30km away. Admire Nubian designs in the displayed artwork, guest rooms and public spaces. Select from more than 400 guest rooms and suites housed in 23 buildings overlooking the gardens, pools and the Red Sea. Enjoy a private balcony or terrace, an LCD television and high-speed internet access. Appreciate the stained glass dome in the resort lobby, shop for souvenirs and smoke a shisha pipe at Souk Café, an outdoor Bedouin-themed lounge. Return in the evening for live music and live entertainment. Sample local cuisine at Marsa Restaurant and relish a cocktail or Arabic coffee from Noba Bar & Lounge, Axis or Kush Bar near the lobby. Work out in our fitness center. Take a dip in one of four swimming pools and savor a cool drink from one of the resort’s pool bars. Covering an area of over 300,000 square metres within the protected Wadi el Gimal marine natural park, the resort has everything you need for an unforgettable holiday in great comfort with a wide choice of things to do. The attention to detail, the elegant design touches, 350 rooms, 3 restaurants, 6 bars, a theatre, disco, 4 swimming pools, excellent sports facilities, 700 metres of white sandy beach, a beautiful pristine sea and our highly qualified staff all combine to enable even the most demanding guests to enjoy a holiday just the way they like it. Marsa Alam means “the bay of the flags” in Arabic, and was so called as it was customary for the small local community to raise flags to help the small boats returning from the sea to find their way home. Until recently, it was home to no more than six thousand people, who made a living partly from fishing and livestock farming but mostly from mining in the old marble and phosphate mines in the desert area inland. These are the true origins of Marsa Alam, which goes back to the time of the Pharaohs and later the Romans, periods when the surrounding desert had a wealth of mines producing gold, emerald and precious stones. Dining facilities include a restaurant and a cafeteria. The hotel has 24-hour front desk service. An ATM/banking facility is also available. Public areas are comfortably air-conditioned. Hotel guests will appreciate the welcoming services of our multilingual staff. Other amenities include a hair salon, private beach and tennis court(s). Leisure amenities: outdoor swimming pool. Guests can also enjoy the following spa/wellness facilities: sauna, steam room, on site spa services, spa tub.Other services: coffee shop/café, concierge services, dry cleaning/laundry service, laundry facilities, medical assistance available and translation services. Sol y Mar Dar El Medina offers transportation to/from the airport for an additional fee. For guest convenience, parking is offered at no extra cost. Valet parking is also available. Sol Y Mar Dar El Madina is an elegantly simple, well designed and tastefully decorated resort overlooking the tranquil and beautiful Coraya Bay in Madinat Coraya. Just 5 km from Marsa Alam International Airport, this four-star resort has easy access to the waters of the bay through its own private beach. Perfect for a great family holiday to Egypt, this cosy and comfortable resort provides everything you could desire in the ideal beach holiday. Facilities Hotel facilities include a permanently manned reception and lobby facility with Internet and Wi-Fi access in most public areas, a choice of specialty restaurants, cafes and bars, two swimming pools including one just for kids as well as shops and animation programmes and live music and cabaret entertainment in the evenings. Visit the fully equipped Gym or go to the nearby Diving Centre and organise short diving courses (at an extra charge). Indulge yourself with a sauna, steam bath, massage (at an etra charge) or Jacuzzi at the nearby Sol Y Mar Solaya resort. For your peace of mind, an in-house doctor is also available. A Kids Club runs daily to provide supervised childcare and special activity programs for children between the ages of 4 and 12. The all inclusive package is particularly good value for money, covering full board with all food and drink, a welcome drink on arrival and afternoon tea with a selection of cakes and coffee every day. is located in Marsa Alam making it one of the best hotels to stay at while in town. All hotel's guestrooms have all the conveniences expected in a hotel in its class to suit guests' utmost comforts. Each guestroom is tastefully appointed with non smoking rooms, air conditioning, daily newspaper, hair dryer, in room safe. This Marsa Alam accommodation features on-site facilities such as 24hr room service, bar/pub, laundry service/dry cleaning, restaurant, safety deposit boxes, babysitting, business center. Hotel's guests can experience on-site latest leisure and sports facilities such as massage, jacuzzi, gym, sauna, spa, water sports (non-motorized), outdoor pool, garden. Being one of the good quality hotels in Marsa Alam, guests staying at this hotel will find its convenient location and tranquil atmosphere pleasurable. Make your reservation at the Sol Y Mar Dolphin House Hotel Marsa Alam now by selecting your chosen dates of stay and submitting our secure online booking form. In a few words is a beautiful long sandy beach, crystal clear waters, untouched nature and tranquility, some of the most virgin reefs for diving & snorkeling and personalized fine service. Nestled beside 1 km of private sandy beach, Shams Alam Beach Resort provides fun and relaxation in Wadi Gimal Nature Reserve, with an on-site diving centre and camel riding opportunities.Shams Alam showcases traditional Islamic architecture throughout its impressive resort. The creative outdoor terrace and heated pool offer an ideal place for enjoying the Egyptian sun. Just steps away, Shams Alam’s private beach plays host to plenty of action, including volleyball, tennis and of course, the professional diving centre.Explore the Red Sea with scuba diving or windsurfing. If you’re looking for relaxation, enjoy a cocktail of your choice on the sandy beach and soak up the sun.Shams Alam Resort can also arrange cultural trips to the camel market in Shalaten Town and El Quseir for great shopping. There is something for every taste and age group at this beautiful resort. Once a small fishing village, Marsa Alam is rapidly increasing in popularity, and since the opening of its International Airport, the area is becoming a favourite holiday destination on the Red Sea Riviera. Situated 200 kilometres more to the south than Hurghada, Marsa Alam main attractions are the long beaches with fringing and barrier coral reefs. Marsa Alam has a truly tropical feeling, with its twisted mangroves and majestic palm trees. The long, sandy beaches are the entrance to magnificent coral reefs, many literally a step away. 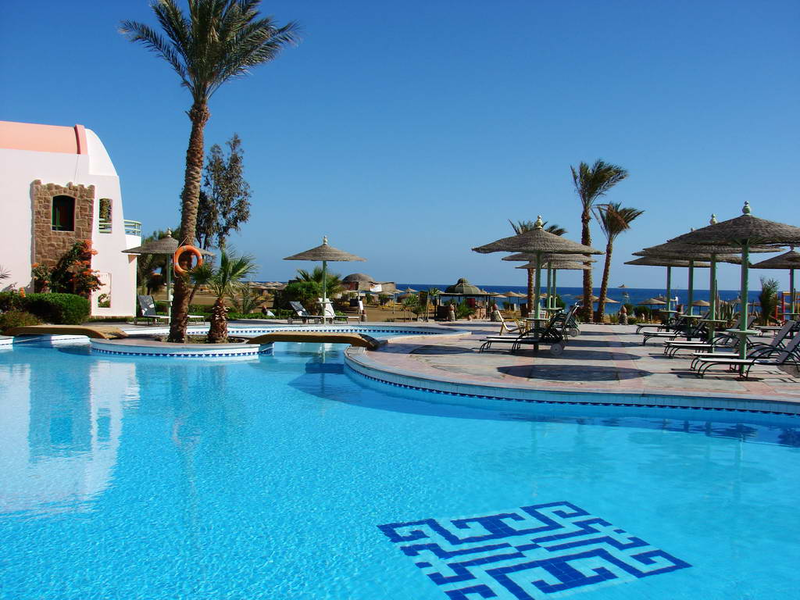 The Three Corners Fayrouz Plaza Beach Resort, is a new exclusive resort in the area and is located just 5 km from Marsa Alam Airport, 70 km north of Marsa Alam and 67 km south of Quseir. The Three Corners Fayrouz Plaza Beach Resort neighbours the Port Ghalib International Marina which features sweeping beach views and a fantastic marina promenade. The main pool (heated in winter) overflows in a second pool. From the terrace, fully equipped with sun beds, sun shades and towels (all free of charge), you can enjoy one of the most amazing views over the Red Sea. Even get pleasure from the adjoining Jacuzzi. Besides the main pool children can play in their kids' pool. A pool bar completes this most amazing setting. A short stroll takes you to the 800 meter long beach area, probably the nicest in the area, which has a direct access to the sea and to the coral reef; suitable for swimmers of any level and snorkellers at designated areas. Central at the 800 meter long beach is a long stretch of sand with all facilities centralized. The beach continues with smaller and cosy bays which are unique settings for some quieter relaxation. Everybody will agree that diving and snorkeling in Marsa Alam is absolutely a stunning experience. The Jetty in The Three Corners Fayrouz Plaza Beach Resort is going up to 368 meters into the sea all thus offering unseen possibilities for snorkeling and diving. The Jetty even takes you snorkeling and diving skills into account. A first entrance point leads to a shallower seabed of 1.20 meters where beginners can experience the first underwater sights. The second entrance platform is situated at the first reef and opens the underwater world between this reef and the outer reef. The waters between the two reefs are well protected from the tidal movements and stronger winds so that snorkeling throughout the whole year is possible. At the end of the Jetty two platforms give you entrance to the open sea and the amazing drop offs, overhangs, small caves and an abundance and variety of colorful fish and corals. Come and see it for yourself: take a splash into the world beneath. If you can float you can snorkel. Dive and snorkel equipment can be rented in our dive center. Lessons and excursions are also available. The especially beautiful ambient conjured up by the dimmed floor lighting captivates the guests as they enter the reception area. And the view of the Red Sea from the terrace, with the whole of this lovely resort at your feet is unforgettable. "The Oasis" is situated in South Egypt, about 20km north of the small village of Marsa Alam. 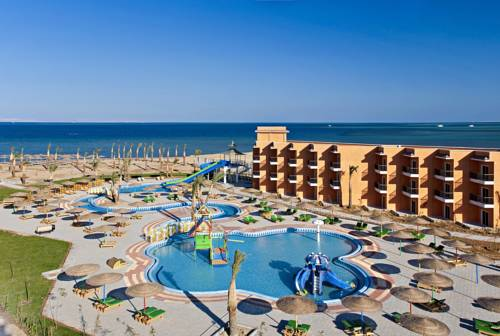 It lies directly on the coast of the Red Sea, on a long, sweeping beach. This oasis of tranquillity is embedded in very spacious grounds, for enough from the road so as not to be disturb by the noise from air traffic. 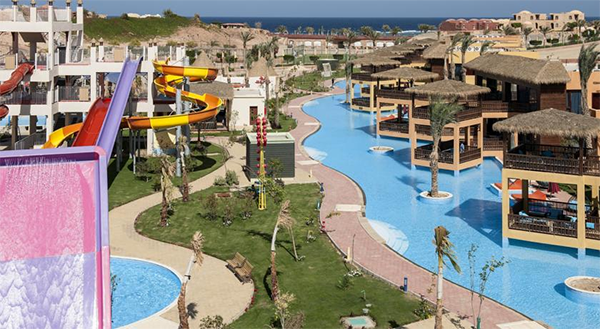 The resort is at a distance of about 25 minutes drive away from the international airport Marsa Alam (about 40km to the south). The international airport Hurghada lies 270 km to the north of "The Oasis". The transfer takes around 3 hours on roads along the beautiful coast of the Red Sea and which, meanwhile, are now in good condition. If you are arriving form a boat safari we would be happy to arrange the transfer from/to Port Ghalib or other harbours. Besides the reception and the offices, the main building also houses a small bazaar and the diving centre. Here it is also possible to make small purchases. A further highlight in the resort is the large and deep (making it perfect for diving instruction) pool. Whilst relaxing in this pool, you are also rewarded with a terrific view of the sea. "The Oasis" is something very special. Very few places in Egypt offer the quiet and relaxation you can enjoy here. The Three Corners Sea Beach Resort is ideally situated at only 10 km from Marsa Alam's International Airport and Port Ghalib. Opened in December 2005, Port Ghalib Marina offers facilities for up to 1000 boats. Port Ghalib aims to become the leisure boating gateway to and foremost yachting port in the Middle East. The Marina features sweeping beach views and a fantastic marina promenade with a lot of shops, restaurants and bars. The Three Corners Sea Beach Resort**** faces directly the open sea with a large beach front, suitable for the whole family to have fun. The new attraction is the extended Waterpark, next to the large beach, that promises lots of excitement for toddlers to grandparents. 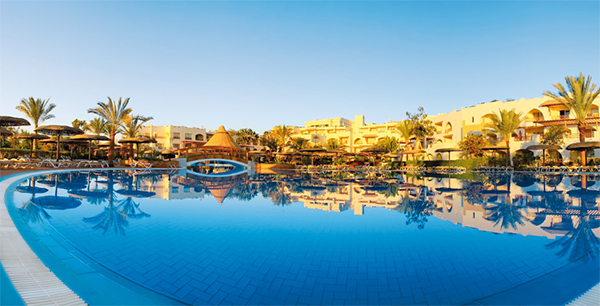 Marsa Alam holidays mean taking things easy at a beautiful beachside hotel, relaxing in mature sub-tropical gardens with amazing pool and sea views. In case of choosing the option of "all inclusive": The All Inclusive-concept includes all meals (breakfast, lunch, dinner and snacks) and mealtime drinks such as soft drinks, beer, wine, water and alcoholic drinks, all of local brands. Drinks are served from morning until late evening (approx until 22.-24.00 hrs). Opening times vary between different hotels. In certain hotels the activities program is also included. The two "wings", only one floor high, encircle a large pool area in the middle. The whole setting is like a large garden – palms, lush bushery and flowers everywhere – where the restaurant, bars and other facilities are scattered around. From vast terraces, fully equipped with sun beds, parasols and towels (all free of charge), you can enjoy an amazing view over the Red Sea. Apart from the pools the Three Corners Sea Beach Resort offers its own large private Red Sea beach, complete with free sunbeds, beach bar and diving center. Dive and snorkel equipment can be rented in our dive center. Lessons and excursions are also available. There's a fantastic jetty which runs for about 60 metres across the coral reef to where the deep water starts and you can stroll along and look down at all the beautiful coral and fish or at night time stare up at the beautiful night skies. It's also easy to go snorkelling from the end of the jetty and there's a direct entrance to the sea and the abundance sea life of the house reef. The beach from The Three Corners Sea Beach Resort is an extensive, pebbled sandy beach, where you can find your preferred sun bed (and parasol) to enjoy plentiful of the ever shining Egyptian sun. At the beach is also a Beach Bar, where you will be served with a selection. Besides the beach you even find a court for volley should you be a more sportive type. But most of all, everybody will agree that diving and snorkeling in Marsa Alam is absolutely a stunning experience. Kids are also taken well care of. They have the “Trixie Kids Club” with morning and afternoon entertainment and stage games, plus the pool area with two shallow kid's pools and a water slide. There are safe playgrounds and a complete activity program. Inside as well everything is well equipped for the young guests, like a playroom with all kinds of toys and games. Internet connections are possible at the Internet Corner in the Lobby. Scratch cards (at charge) are available at the reception. You can get free Wifi in the lobby. 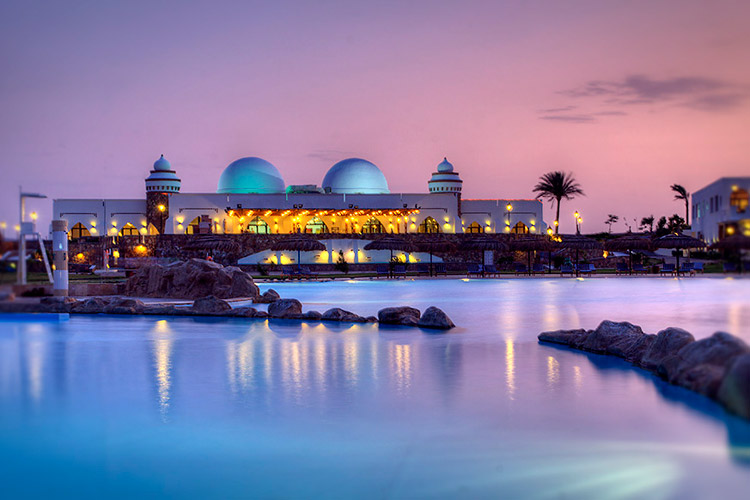 The Sentido Kahramana Park is a distinctive oasis in the middle of the desert in the natural protected area of Marsa Alam, one of the most exciting and intriguing settings in Egypt. Boasting a comfortable, friendly and lively atmosphere, the 4 Star Sentido Kahramana Park offers a total of 108 tastefully furnished guestrooms and chalets with modern amenities are surrounded by stunning natural surroundings. Guests will particularly enjoy the amazing sunsets, the opportunities for fine dining, and the warm hospitality and excellent service. The Sentido Kahramana Park invites you to a diverse, adventurous and relaxing vacation. Marsa Alam Airport is 38 km from the Sentido Kahramana Park. Local Tips: Take a camel or a horseback ride on the endless beaches, spend an afternoon quad biking through the desert or take a shopping stroll through the shopping arcade with a range of over 80 shops. Dining: The Hotel is booked as All Inclusive accommodation. There are several fine choices for dining including the Kahramana main restaurant located on the pool terrace serving buffet breakfast, lunch, and dinner with indoor and outdoor service. There is also the a la carte Arrabbiata restaurant serving a variety of genuine Italian Cuisine with the Famous Pizza wood oven, On The Rocks restaurant for seafood delicacies, the Laguna Beach Bar for drinks and snacks, a pool bar, Tequila Bar, Palm Bar, Cia Marsa Mine Pub and Disco serving a variety of Cocktails with DJ music all night long, Planet Bedouin at the beach serving drinks, Water Pipes and a weekly Bedouin dinner, and Café Delmar at the nearby Kahramana Beach Resort, open from 11 am to midnight, offering aperitifs, coffee and ice cream. Activities: Resort activities such as games, swimming and animation are based at Laguna Bay, while Palm Bay is more romantic and relaxing. The hotel has 1 km long beach forming two bays with a coral reef that is ideal for snorkelling & diving, 2 swimming pools of which one is heated with a children pool area, Kahramana Health Club including gymnasium, sauna and massage, Horse & Camel riding on the beach, football ground and beach volleyball, Amphitheater for animation team show, 2wo tennis courts (day & night), table tennis, games, volleyball, water sports, aerobics, plus a Diving and Water Sports Centre. For the Kid's: Kids Animation, Playgrounds and Baby Sitting Service (against charge). Look out for the new Aqua Park coming soon! Additional: 24-hour reception, multilingual staff, 82 shops in the shopping arcade, quad runner, on call medical doctor, bank, shuttle bus, barber shop, Concierge, valet parking, valet laundry, dry cleaning, limousine services, car rental, Excursion Services (sunset desert trips by quads and jeeps and quick excursions to Luxor), Business Centre (Fax, telephone, photocopying and Internet), Pataya Abou Dabbab Beach. Hotels4u guests enjoy a complementary welcome drink on arrival! With a secluded private beach, this all-inclusive resort is located in Berenice, Hamata. 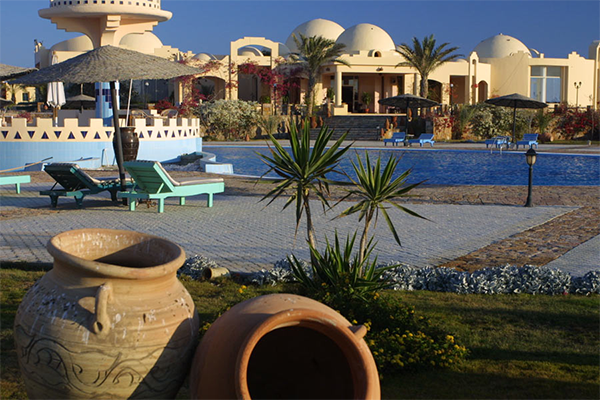 It offers a freshwater outdoor pool with views of the Red Sea. Rooms include private balconies or terraces. A generous all-you-can-eat breakfast buffet is served on Wadi Lahmy’s terrace. Lunch and snacks can be enjoyed at the beach restaurant and shisha is offered in the Bedouin tent. There are also 2 bars. Wadi Lahmy Azur Resort provides dome-shaped rooms with air conditioning and satellite TV. Each is fitted with large windows and tiled floors. The resort includes a diving centre and a separate swimming pool for children. The hotel’s animation team organises regular activities and evening performances. Location: The All Inclusive - complex (soft all inclusive) is located on a sprawling lagoon with some beautiful stretches of beach. 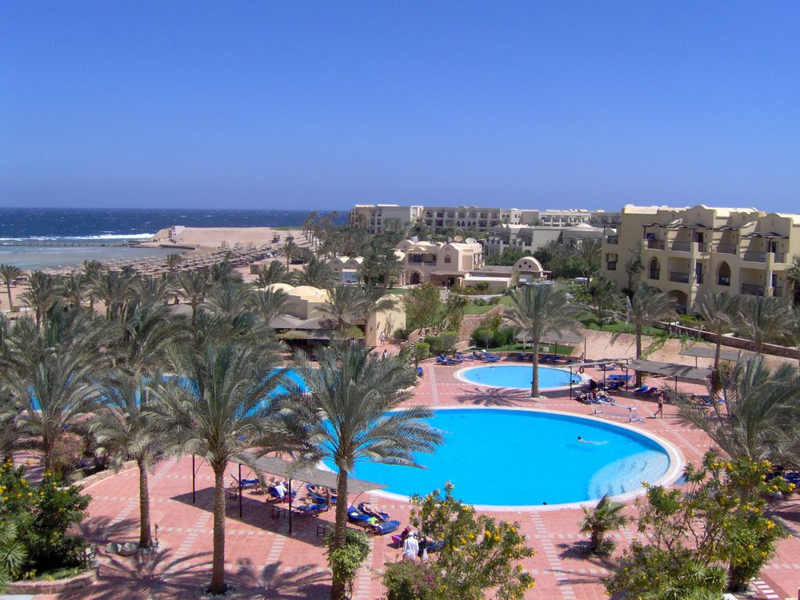 The hotel is located directly on the beach, 185 miles south of the Marsa Alam airport. The transfer time to the airport takes about 2 1/2 hours and takes on a good road to Hamata. The small town of Hamata is only 5 km away, there is also the marina with our boats. Description: The 155 rooms are spread across multiple story buildings. Facilities include a lobby with a reception desk, a small lobby with a bar and a restaurant with terrace and sea view. The Bedouin tent right on the beach is usually the meeting place for the guests in the evening. There are two swimming pools with sun terrace and pool bar, sun beds and umbrellas, beach towels are included. Rooms: Dome shaped rooms with air-conditioning, private balcony or terrace, satellite TV, direct dial telephone, private bathroom, hairdryer, mini bar, safety deposit box and tea and coffee making facilities. Location: The Zarbagad Dive Resort is a large and spacious complex located directly on the beach 180km south of Marsa Alam International Airport. Transfer to the airport is approx. 2 1/2 hours. Description: The resort is built in a typical moorish style and blends in beautifully with the surrounding rugged landscape. The 70 rooms are integrated into bungalow accommodation which spread themselves out across the well maintained landscaped complex. The main building comprises of lobby, small reception (safe deposit boxes incl.) and small gift shop. The main buffet restaurant offers breathtaking views over the large pool area and the Red Sea coast. The cosy and comfortable open air divers bar situated next to the dive club offers drinks and snacks until 10pm. One of the resort's popular facilities is the Bedouin Shisha Tent located on the beach, ideal for that 1001 nights feeling. Rooms: The spacious friendly rooms all have en-suite bathroom, air conditioning and mini-bar. Most rooms come with a sea view and are bookable as either single, double or triple accommodation. A variety of excursions are bookable locally including desert camel tours and quad biking. Within the resort there are two billiard/snooker tables (surcharge payable locally). Breakfast and dinner are served in the main buffet restaurant, or on the open air terrace adjacent (weather permitting).